Police arraign ‘Small Doctor’ for unlawful possession of firearms – Royal Times of Nigeria. The Police have arraigned musician Adekunle Temitope, popularly known as Small Doctor, for unlawful possession of firearms. A credible source at the State Criminal Investigation and Intelligence Department, Yaba, said the popular artiste was arraigned before an Ebute Meta Magistrate’s court today. 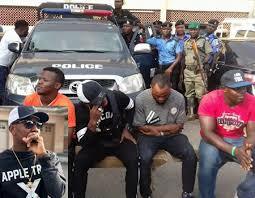 The suspect was paraded at the Police command headquarters at Ikeja after he was arrested around Oshodi on Monday. He was alleged to have threatened to open fire on a Police officer before he was arrested. 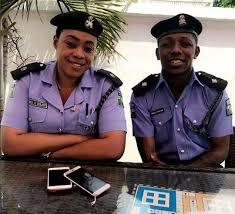 The state Commissioner of Police, Edgal Imohimi, said Small Doctor had, in the past, fired shots and injured four people. He noted that the injured persons were admitted to a hospital and vowed that the artiste would be made to face the law. Small Doctor recently created a controversy after singing at an event of the All Progressives Congress. He had sung one of his hit tracks, ‘Ye ma sun”, meaning stop sleeping, which many said was targeted at the administration of President Muhammadu Buhari. But the singer’s manager denied the claim.